The return of a Legend – founded in the 1950’s, Echolette brand always represented German craftsmanship, quality and technical reliability. The new Echolette MK I completely connects to this sounding heritage. Covered in a beautiful, vintage design woodcase, the MK I can give you a lot of airy clean sounds with plenty of headroom and creamy overdrive tones. 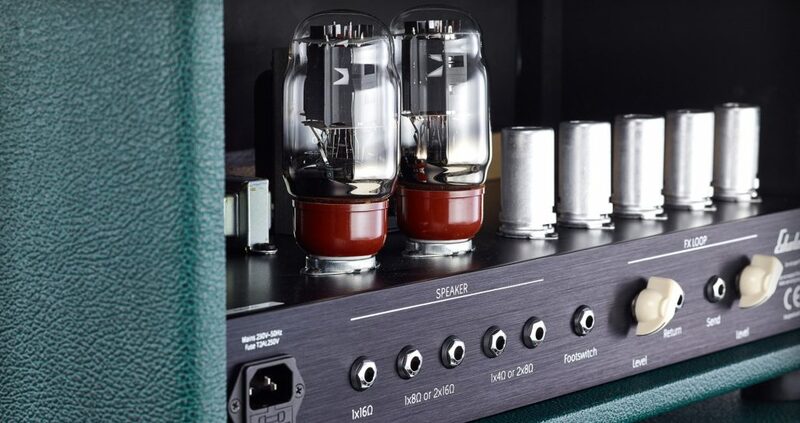 With it’s all tube design, 2 channel great sounding channels, 35 Watt of power delivered by two KT66, MK I might just be the best sounding rock amp you’ve ever played. 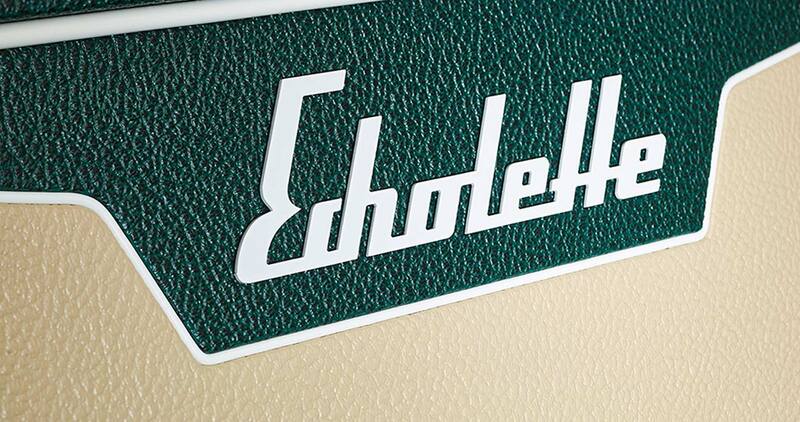 We proudly present our new Echolette MK I, an ultimate rock amplifier. 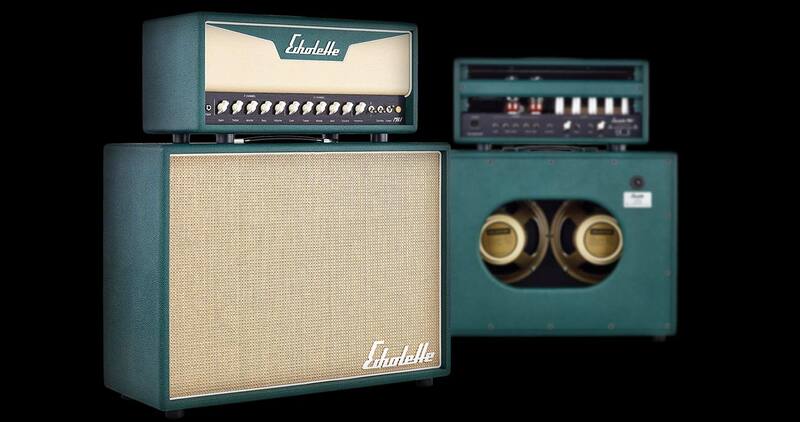 This amp will give you everything you need for a beautiful cleans and singing overdrive tones. 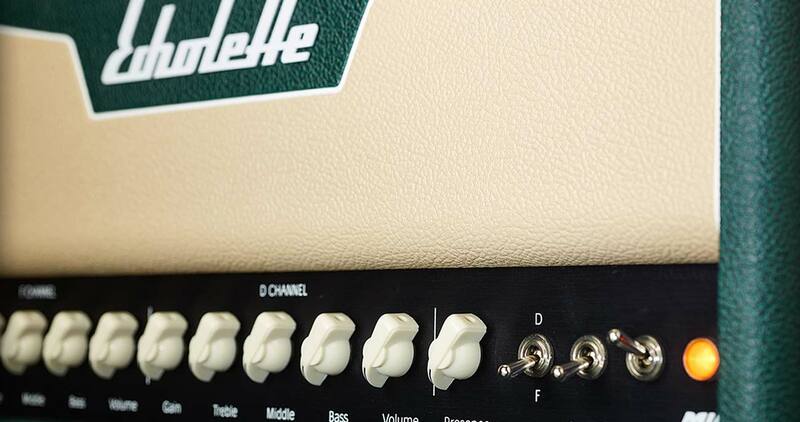 The 2 channel design features a clean (F) and an overdrive (D) channel, both equipped with gain, treble, mid, bass and a channel volume control. A master presence control is shared by both channels. 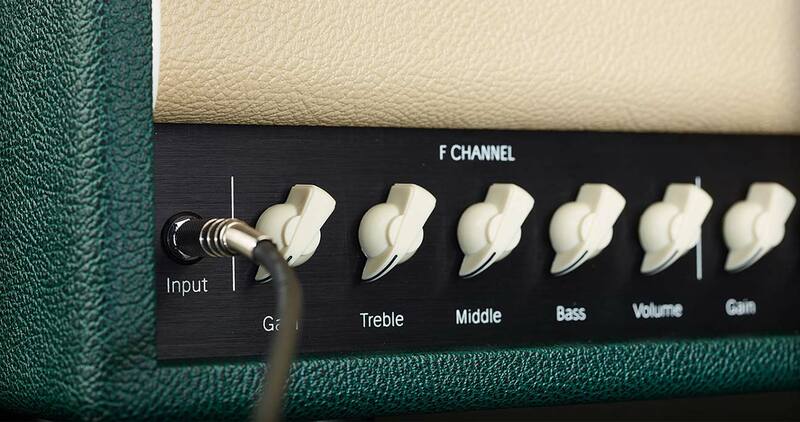 The F channel is almost impossible to overdrive, even with gain set up to maximum. 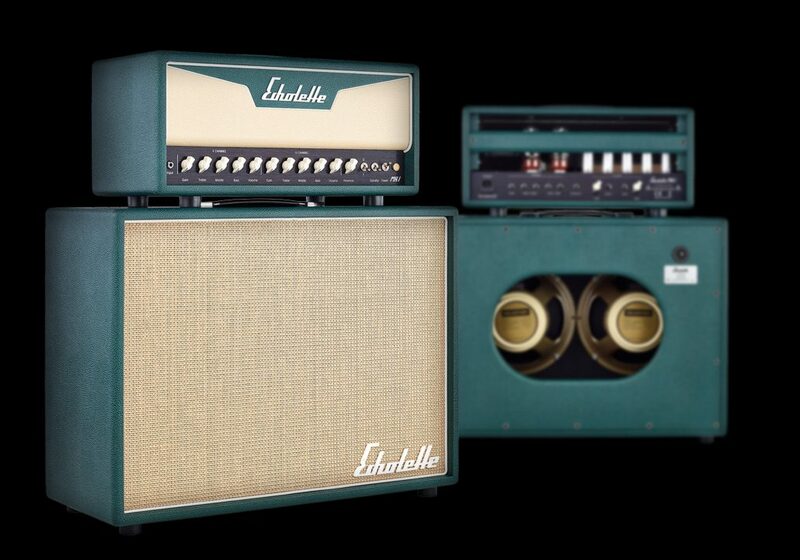 What you get instead is warm, clean tone with slights of compression and a lot of headroom. It works great with external pedals, by taking the best from your distortion, overdrive or fuzz pedal and pass it on to the speaker. The overdrive D channel is perfectly balanced, full of harmonics but at the same time it sounds perfectly transparent, so you will hear every detail of your playing. This channel is absolutely brilliant for playing solos, it will make your guitar scream with endless feedbacks, but it will also rock your world if you use it for playing riffs. This tone will make your fingers never want to leave the fretboard again. The FX Loop allows you to integrate your favorite chorus, reverb or delay effects into your tone. Since both return and send levels are adjustable you can be sure that each one of your pedals will fit here perfectly and give you best possible performance. FX loop is significant part of amplifier sound, so it is on all the time, which is why you can use it as master volume control, even if no effects are plugged in. Try to turn both FX loop levels down and discover that this amp sounds also great at low volume levels, so it can also be perfect for silent practicing. 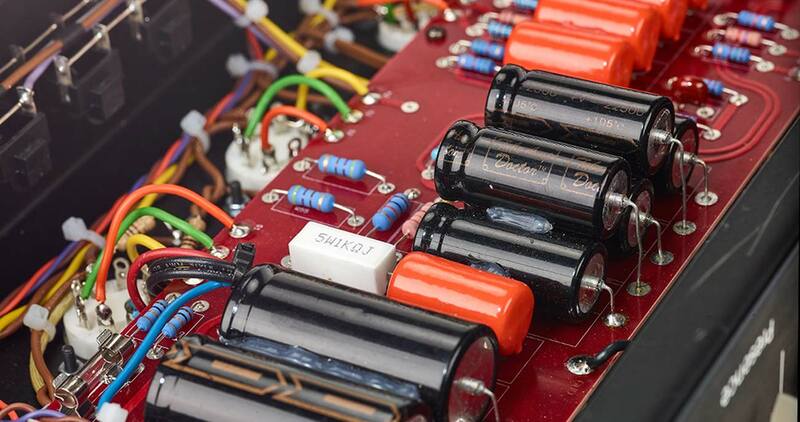 Custom made output transformer is constantly ‘pushed and pulled’ by two KT66 tubes. 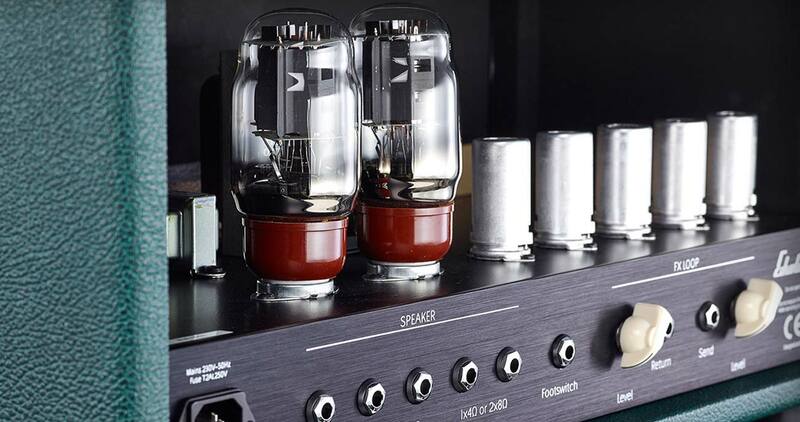 And although we are pretty shure, that you will love them right away, you always have the possibility to change the power tubes to a pair of EL34, 6L6 or 5881 to shape your sound. As much, as the MK I is designed to bring out the character of your playing, it will also display the unique sound of the guitar you plug in, whether it is loaded with single coils, humbuckers, P90 or even piezo systems. 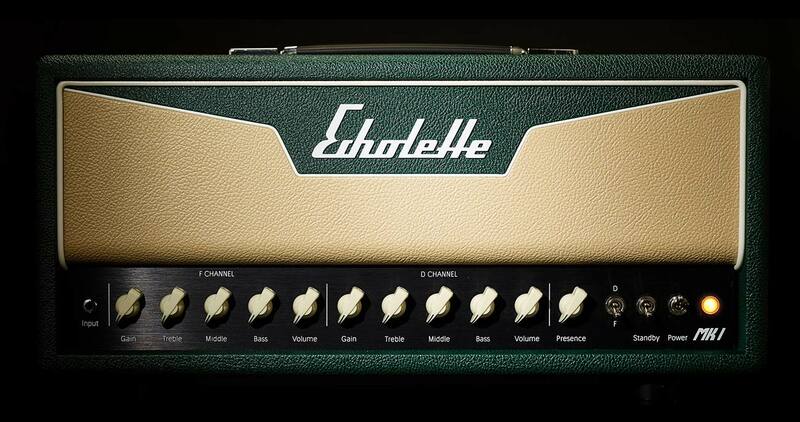 Echolette MK I is designed and assembled in Germany by guitarist for guitarists. We had two main priorities: best possible sound and highest quality. After countless hours of designing, few prototypes and long testing process we have finally reached our goal which is now presented to you. 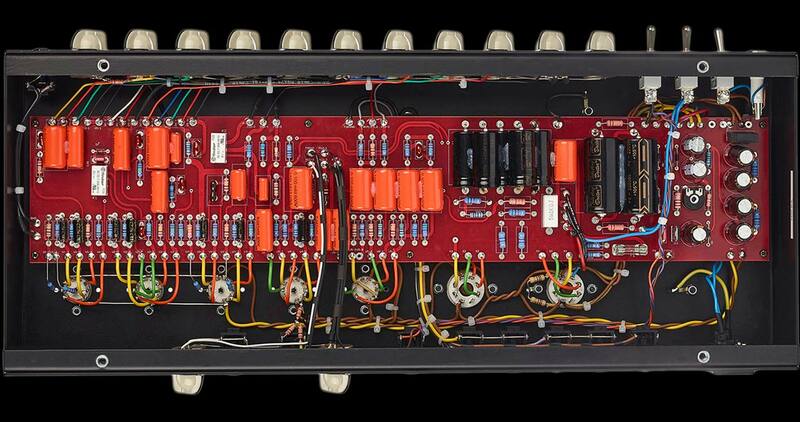 Inside the MK I you can see a carefully engineered PCB layout which combines elegance of vintage hand-wired amplifiers, with high stability and quality of modern PCB boards. Orange drops, massive Alpha potentiometers – we use only highest quality parts from EU to ensure the best sound performance and heavy duty reliability for your studio and on-the-road experiences. 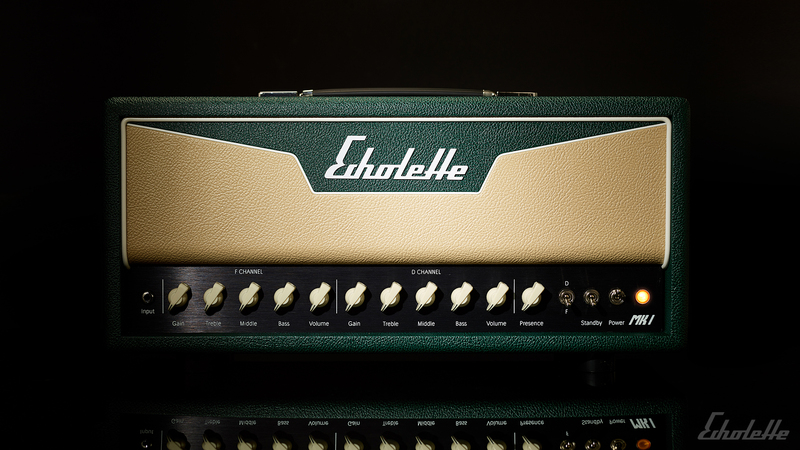 Although the vintage two colored tolex and white striping design brings up the era Echolette was born, you’ll find the Echolette MK I one of the most highly evolved tube circuits available on the market. Designed with love in Germany. The whole concept of the Echolette MK I was to not just build, but carefully design a musical instrument, that gives you that great tone. So to match the character of the MK I head, we also spent a lot of time to find perfect speaker cabinet. 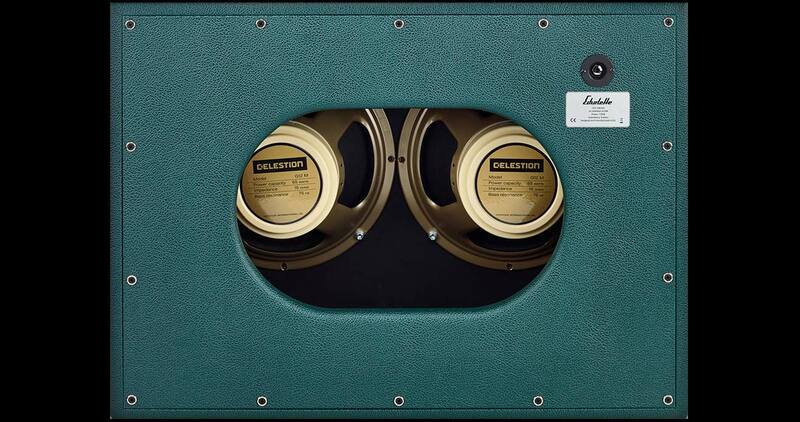 After many hours of tests with different speakers and constructions it turned out that half open cabinet with 2 Celestion G12M-65 12” Creamback Speakers is the right choice here. 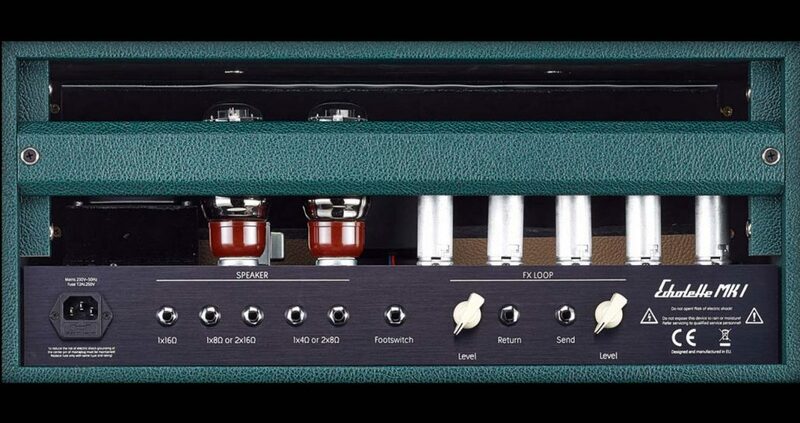 It enables the full MK I tone, even at low volumes. 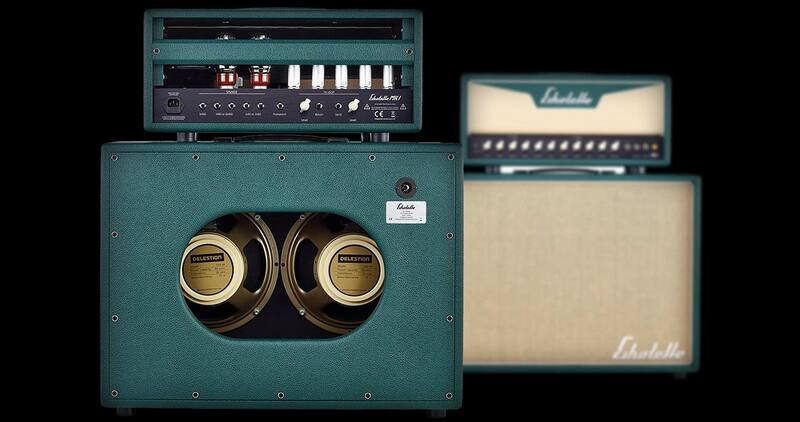 This cabinet can provide very warm and balanced sound, thanks to one of the best vintage sounding speakers on the market, but also its open construction allows this sound to travel in every direction. 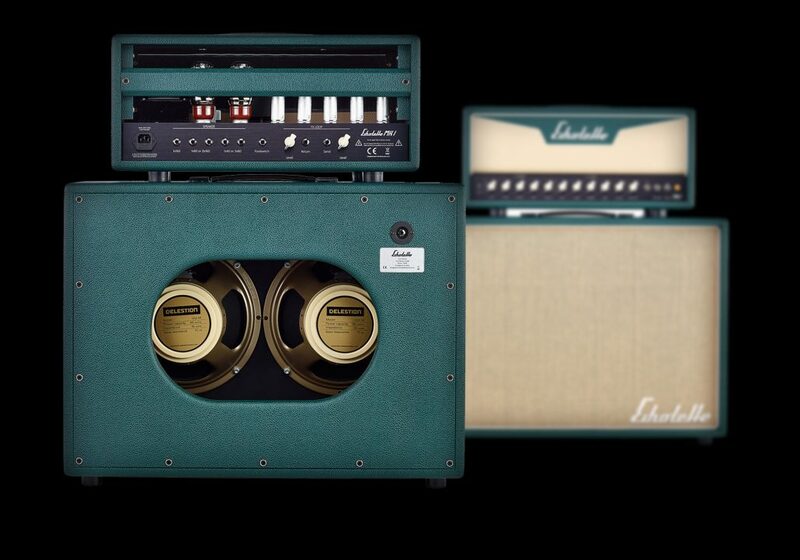 Not forgetting that with the same classic design, the 212 cabinet presents itself as beautifully as MK I head. 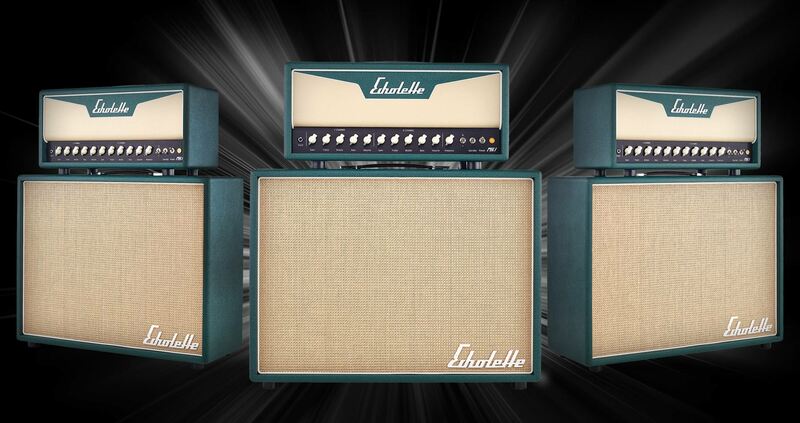 Check out these videos of our Echolette MK I amplifier with the matching 212 Cabinet. Even though the sound of a compressed video might not be the best reference to know how this amp really sounds like, you will definitely be intrigued… probably enough to try it by yourself.